This is the twenty-sixth in a series of posts about war tax resistance as it was reported in back issues of Gospel Herald , journal of the (Old) Mennonite Church. The debate about whether or not to pay war taxes, and about whether Mennonite institutions should be more accommodating of the requests of their employees not to have war taxes deducted from their salaries, continued in 1985 , and edged ever closer to the Mennonite Church itself. For over ten years I have openly withheld a portion of my federal income taxes because I’m a conscientious objector to participation in war. This action has sometimes resulted in face-to-face conversations with Internal Revenue Service representatives. I have on several occasions written to legislators on issues of peace and justice or facilitated similar communication by our congregation. As I see that Christians have contributed to the injustices, my faith compels me to speak. There are many professing Christians who are in public office who make government policy. There are many professing Christians whose votes helped to put them into office and whose tax dollars by the millions pay for the administration of their policies. Because of this I want to invite my Christian brothers and sisters to let the Prince of Peace train their consciences and to take these trained consciences to work whether in the private or public sector. The board discussed a request by several staff members that MCC not withhold their income taxes, to allow them to withhold a portion of their taxes as a protest of the dollars used for military purposes. They agreed that the executive committee should appoint a task group to consult broadly within the MCC constituency to review historical positions on this matter, to examine alternative responses, and to bring a recommendation to the executive committee and annual meeting on alternative courses of action. This approach “moves from a simple decision of whether MCC should withhold taxes to stepping back and reflecting on the overall situation before recommending any one solution for the MCC board to accept or reject,” it was said. Members noted that the Mennonite Church and the Conference of Mennonites in Canada are studying this issue, that the General Conference Mennonite Church has completed such a study, and that efforts will be made to learn from those studies. Friday evening —  Case Study 3: Conscientious objection to military taxes — a case presentation, by John and Sandra Drescher Lehman and Paul Gingrich. — A panel— James R. Hess, Stephen Dintaman, and Bob Detweiler. The other case was conscientious objection to military taxes. John and Sandy Drescher Lehman of Richmond, Va., told how they followed their conscience and decided a few years ago to withhold the part of their income taxes that they figure goes for the military. The complication now, though, is that they have become employees of Mennonite Board of Missions in their role as codirectors of the Richmond Discipleship Voluntary Service program. “What should an institution do when its employees ask that we stop withholding taxes from their paychecks?” asked MBM president Paul Gingrich. A panel of four attempted to answer the question, including Robert Hull, a soldier-turned-tax-resister who is peace and justice secretary of the General Conference Mennonite Church. He explained how his denomination, with the instruction of its members, is now breaking the law by not withholding taxes from the paychecks of seven of its employees who have requested that. The tensest moment of the conference came when James Hess, a Lancaster Conference bishop who served on the war taxes panel, was asked whether he would have paid all his taxes in Nazi Germany even though some of it went to kill six million Jews. He hinted that the Jews may have brought judgment on themselves for their crucifixion of Jesus. This caused a minor uproar and led to a public apology the next morning by Hess. He said that his statement was speculative, trying to defend the sovereignty of God, and quoted from Jacques Ellul that everything man does is within the global plan of God. I would not in any way seek to defend the position reportedly taken by James Hess during the recent Conversations on Faith Ⅱ linking the Jewish Holocaust with Christ’s crucifixion… Such notions are the misguided, though not necessarily unnatural, projections of his fundamentalism. It is hardly fair, however, that the person who posed what seems the quite irresponsible as well as irrelevant question which provoked Hess’s intemperate response is not also identified in the report. For this questioner should be asked whether he/she paid (or would have paid) taxes to the United States or Canada during World War Ⅱ. If the questioner would not have paid, given the assumptions of tax resistance theory, would not he/she also have been guilty of contributing to the prolongation of Nazi atrocities against the Jews and others, just as he/she charges a taxpaying German citizen Hess would have been? If, on the other hand, the questioner would have paid his/her federal taxes, again given the assumptions of tax resistant theory, wouldn’t that be embracing the “just” war position? For how else is the “financing” of one set of military activity, but refusing to “finance” another, to be interpreted? That we are acting out of our religious convictions fostered in the tradition of the historic peace witness of the Mennonite Church. You are asking us to do what in good faith we cannot do — to violate our consciences and our understanding of obedience to Jesus Christ by paying for murder. I, Wilma, am a nurse dedicated to making lives whole, not to destroying them. I find preparation to kill and destroy abhorrent and inconsistent with what my whole life as a mother, as a nurse, as a human being, as a follower of Jesus Christ is about. I, Ray, am a professor of church history and ethics. In my teaching and in everyday life I seek to underscore that if we are to become persons and create communities of noble character and life-giving quality, we must live lives consistent with our beliefs. To you as a law-enforcer, and to our congressmen and senators as law-makers, we ask: What is being done to our people and to our nation by enforcing the practice of violence upon those whose conscience and religious convictions are opposed to violence? Why do you insist that pacifist citizens act contrary to their conscience by coercing them to pay for weapons of death? Would it not be a healthier, stronger nation if these people were granted freedom of religion and allowed to practice economic nonviolence by channeling their funds into constructive, nonviolent, humanitarian aid? To Mennonites war is murder. For Mennonites, and for all Christians who take seriously the lordship of Jesus in their daily living, there is no government that can override the teachings and example of Jesus Christ. For Mennonites, therefore, and for all pacifist Christians, the payment of military taxes has always posed a dilemma. Some, psychically numbed by continued rationalization, comply with the state’s demands for death money. Others choose the way of noncompliance, following the example of Jesus Christ that leads to persecution — military tax penalties, confiscation of property, and imprisonment. Finally, Mr. Smith, allow us to address you personally. What role will you have in all of this? All of us are in the system. And all of us are morally obligated to say “no” to death and “yes” to life. You undoubtedly have thought about these questions many times. We would count it a privilege to meet with you to discuss these grave matters in a more personal way. There were some letters to the editor in response to this wave of articles on the topic. Joe Cross wrote that he was generally against war tax resistance, but didn’t say anything particularly notable. Curt Ashburn didn’t care for the put-down of taxpayers in the Gingeriches’ letter (“psychically numbed by continued rationalization”) and felt that they should keep such “witness” in the family rather than dragging IRS agents into it. He also asked if the Gingeriches refused to pay taxes to support state-funded abortion, police violence, capital punishment, and so forth or if they thought war was somehow special? Exploring new territory in religious opposition to nuclear arms, a number of major religious denominations have begun to contemplate whether they should throw their support behind the growing movement to resist payment of taxes in protest of the arms race. While increasing numbers of individuals within the churches have joined the ranks of “war tax” resisters, only a handful of denominations have encouraged or lent support to such resistance. However, as peace activists within the churches have demanded tougher antiwar stands at the highest church levels, denominations have begun to wrestle with the biblical, theological, and historical questions raised by war tax resistance. The churches are using the examination as a basis for deciding whether to take, as corporate bodies, any of a variety of actions — both legal and illegal — in support of the movement. What is moving churches is the growing realization that they have been “praying for peace while paying for war,” said Marian Franz, a Mennonite who is executive director of the Washington-based National Campaign for a Peace Tax Fund. “For many people, the arms race has just gone too far. And they’re saying, ‘Oh my God, I’m involved in it.’” While several mainline denominations have begun to study the issue, the strongest support for war tax resistance has come from the historic peace churches, particularly Quaker and Mennonite bodies. 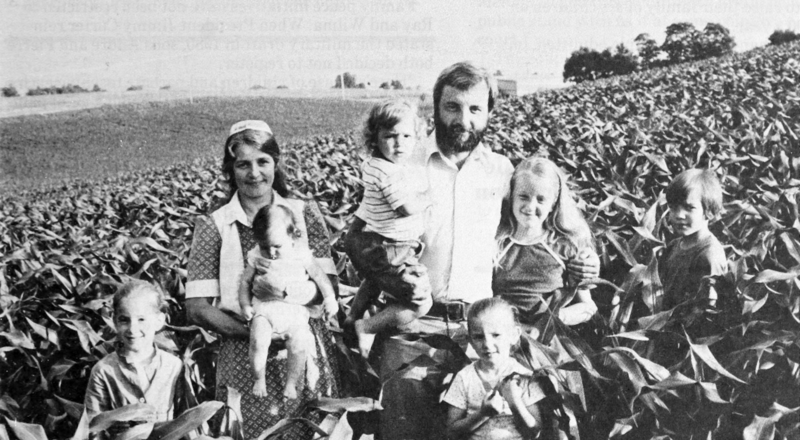 In an unprecedented move, the 60,000-member General Conference Mennonite Church voted, in August 1983 , not to withhold federal taxes from the paychecks of employees who are tax refusers. This is punishable by fines and imprisonment. Seminars on singleness and sexuality, marriage and sexuality, and silent devotions were also well attended, indicating a rising concern among Mennonites for personal growth and self-understanding. On the other hand, seminars on such topics as war taxes, Central America, and church-state relations received relatively less attention. I heard that the conference moderator gave only six minutes of floor time to deal with the question of the church withholding federal income tax from the paychecks of church workers who conscientiously resist war taxes. Perhaps to some, war tax resistance is more personally uncomfortable than homosexuality! Remember that for any government to exploit and massacre, two things are required from the majority of its citizens — silence and paying taxes. The Rhodes family (left to right): Carmen, Leanna, Rebekah, Philip, James, Anita, Candice, and Martin. Praying for peace while paying for war? It’s an irony that Ray and Wilma Gingerich and James and Leanna Rhodes of the Harrisonburg, Virginia, area refuse to accept. Ray and Wilma are in their early 50s. He teaches theology and ethics at Eastern Mennonite College; she is completing a master’s degree in community health nursing at the University of Virginia and works part time at Virginia Mennonite Home. Their four sons of college age or older no longer live at home. One might think it’s time to slow down, settle in, go with the flow. Not so. The Gingerichs are wrestling with an issue they believe is increasingly urgent for Christians — how to respond to the fact that over 50 percent of all income tax monies go to pay for past and present wars and to prepare for future wars. As one response, they began in 1977 to withhold the portion of their federal income tax that pays for war. For the past three years, the couple has also withheld the federal excise tax from their monthly telephone statement. This tax began during the Vietnam War as a “quick source of revenue” for that conflict, Ray pointed out. Several miles southwest of Gingerich’s Harrisonburg home, in the rolling countryside of western Rockingham County near Dayton, James and Leanna Rhodes are taking a slightly different tack to the military tax issue. The couple, in their mid-30s, is making a conscious effort to live at a nontaxable income level. For them, it means trying to raise their family of six children on $12,000–$13,000 a year. It’s easier said than done, the couple admitted, but several things are in their favor. The family rents the large frame house where they’re living. They care for dairy heifers and beef cattle for their landlord. The old station wagon they drive is registered in Leanna’s mother’s name so the IRS can’t put a lien on it. James works for his brother in a new and used farm machinery business. Leanna, a nurse, works on and off for Homecall, a local home health care agency. The family has no accessible bank account or other personal property that the government could claim to satisfy unpaid military taxes. This leaves the IRS only one option — to go after Rhodeses themselves. Rhodeses have refused to pay the portion of their federal income tax for military purposes for three years in which they earned slightly over their nontaxable limit. They have been audited and warned of collection procedures, but nothing has come of it. Like Gingerichs, Rhodeses refuse to pay the federal excise tax portion of their monthly phone bill. The families didn’t acquire their peace convictions overnight or in isolation. Gingerichs point to a stint of mission work in Luxembourg, 1961–1968 , as a time when they were confronted with the realities of war. In 1968 Gingerich enrolled at Goshen Biblical Seminary, where he was challenged by the teachings of John Howard Yoder, a tax resister himself. When the family moved to Nashville, Tennessee, for Ray to pursue a doctorate at Vanderbilt University, the couple began attending a United Methodist church that was deeply involved in urban ministry. Family peace initiatives have not been restricted to Ray and Wilma. When President Jimmy Carter reinstated the military draft in 1980 , sons Andre and Pierre both decided not to register. “Here’s a case of children and parents teaching each other,” Wilma said. “We had been through a lot of painful and joyful growth experiences together. To them, not to register was the logical way to live out the convictions we shared. 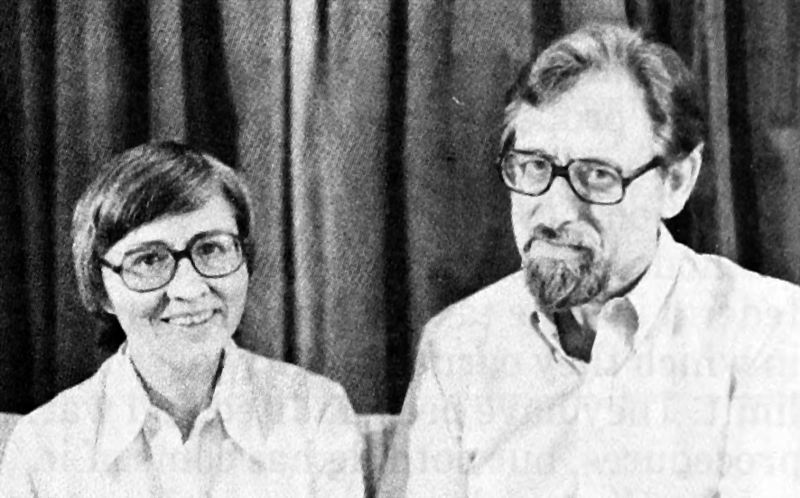 Although James and Leanna had long felt a commitment to blend personal faith and active social concern, their awareness of the need to give more than lip service to their beliefs was heightened during 1975–1979 when they helped to start a Mennonite church in San Francisco. In that setting James got involved with a number of peace causes and groups, including counseling military personnel who wanted to claim conscientious objector status. Both couples are quick to draw on their understanding of Jesus’ teachings and example to support their actions. “Our church has failed to see the logical progression from the conscientious objector stance and Mennonites’ refusal to buy war bonds in the 1940s to the war tax resistance stance of the 1980s ,” Ray stated. Both Gingerichs and Rhodeses have paid a price for their stance. For the Gingerich family, it has included repeated threats from the Selective Service System and a lien placed on all their personal property. James Rhodes earned tuition money to attend Eastern Mennonite College and Seminary by working as an artificial inseminator for dairy farms up and down the Shenandoah Valley. He later lost that job as a result of local pressure, but he “feels no animosity” toward those who called for his ouster. James noted that the harshest criticism has come from other Mennonites at a time when interest in Christian peacemaking and nonresistance is gaining momentum in a number of mainline denominations. The two families commend each other’s positions, but cited the need for other people who are involved in varied forms of tax resistance to “become more visible.” They are active in a local “Christians for Peace” group that has about a dozen members. 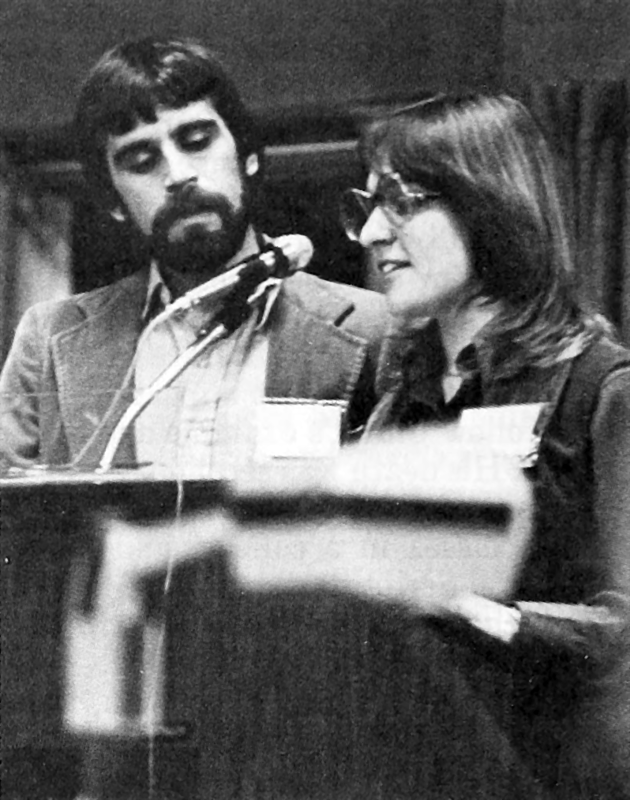 The couples emphasized that their methods of war tax resistance are not the only valid approaches, and both expressed a desire for more dialogue and sense of solidarity with the larger Mennonite Church. Witness will continue. Ray and Wilma expect to continue withholding that percentage of their federal income taxes that goes for direct military purposes and to continue talking and working with individuals and within their professions to keep the issue alive. James and Leanna, meanwhile, “feel comfortable” with their simple living approach, recognizing that it doesn’t allow them to confront government officials and others as directly as Gingerichs have. “When our children get older, we’ll need to adjust our strategy,” James said. “For now, our fear of what could happen to us has gone from near paranoia to a real sense of peace and freedom. “Paying a Price for Peace”… is one of the most encouraging articles you’ve published recently. It is encouraging to see two families who take their faith in Jesus Christ very seriously. In my mind, they are acting out the very core of the gospel message to love, to be peacemakers, and — above all — to be obedient. On the other hand the article can cause one to be depressed because of the lack of support and criticisms Rhodeses and Gingerichs have received from fellow Mennonites. Mennonites, of all people, should be cheering these families on, even if they are not in complete agreement with their tax witness. Joyce and I have also withheld portions of our federal income tax payment, making it necessary for the Internal Revenue Service to put liens on our checking account. It is a lonely feeling. To me, any action that lessens another human being, lessens me. It is sin for me to sit in the safety of a protected home and claim no responsibility for what my money buys. To tell someone we love them and apologize for the fact that nearly half our tax dollar is being spent in preparation to kill them, is the ultimate lie and irony. I cannot love you if I am preparing to kill you. Jesus never challenged the state on these practices, nor did he indicate that paying taxes implied responsibility for these heinous crimes. I don’t think Jesus paid any war tax. I think he probably lived below a taxable level, and I affirm anyone who chooses this path. I also pay no war tax. Our tax checks are not divided into portions by the Internal Revenue Service, but are thrown together into a central fund, against which huge government checks are drawn. I simply decide in my heart which huge government check I want my money to be a part of. For me, it’s food stamps and interstate highways. The former moderator of the Church of Scotland (Presbyterian), Lord MacLeod of Fuinary, has called for the creation of a peace army committed to withholding the 13 percent of income taxes which the British government spends on defense. MacLeod hopes such an army will be able to persuade the government to allow people to give an equivalent amount of their taxes to starving countries instead. Even if the government refuses to go along with the idea, he said, taxpayers should still withhold the money and spend it on famine relief. The committee also heard a report from a task force established after several staff members asked MCC not to withhold their federal income taxes. This was to allow them to keep a portion of their taxes as a protest of taxes used for military purposes. Committee member Phil Rich reported that the task force had met with leaders from eight Mennonite denominations over the past year to seek counsel on how to respond to the tax-withholding issue. None of the denominations counseled MCC to honor the staff members’ request. The Executive Committee voted 7-1, with three abstentions, to accept the task force’s recommendation that the staff members’ request be denied. The recommendation will go to the MCC annual meeting for final action. At the Church of the Brethren Christian Citizenship Seminar, speakers remind people that conscientious objection is for everyone. Don Schrader lives simply (and strangely) in pursuit of ethical living (and generates plenty of interest); war tax resisters in Colorado Springs make the news; the I.R.S. refuses to cough up its audit statistics despite a court order; expatriate tax resister Jeff Knaebel speaks at the Gandhi Sixtieth Memorial in Pune; and Larry Rosenwald wonders if the emphasis on voluntary simplicity means that tax resisters with voluntarily complex lifestyles aren’t welcome in the clubhouse. In 1963 the I.R.S. froze the bank account of a pacifist group because two of its employees would not pay war taxes. Also: modern American war tax resisters Don Schrader and Michael McCarthy speak out. And: war tax resisters in Ciudad Real, Spain, hold a rally.